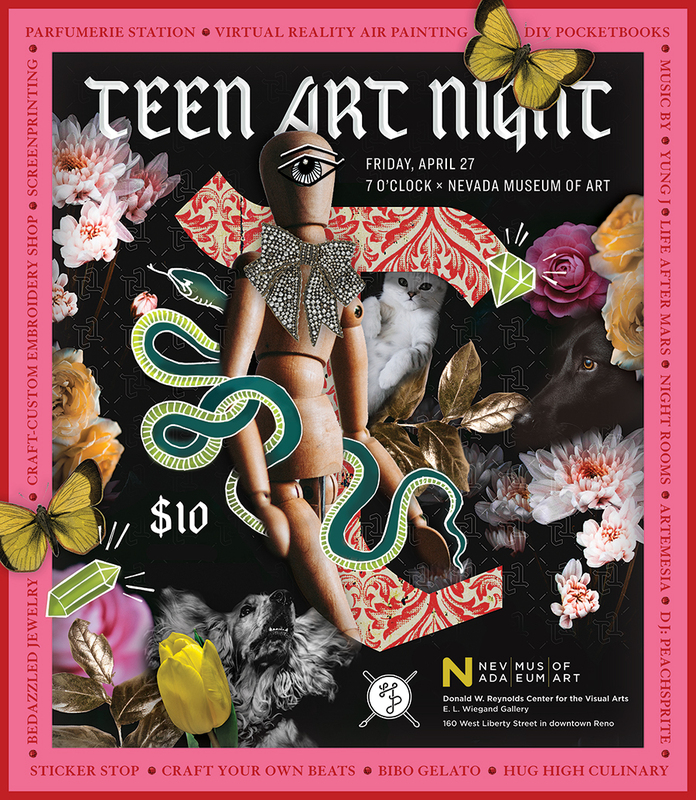 Join the Holland Project and the Nevada Museum of Art for our annual Teen Art Night! This time around, we’re inspired by lush garden vibes, pastels, fancy dogs, a mix of high brow/low brow remixed fashion and customization culture, some Gucci influence with a pinch of both Italian Renaissance and Lisa Frank! We’ll have 10+ hands-on stations (button making, silkscreening, DIY collars, embroidery and customization station, make-your-own fragrance, bejeweled brooches and rings, marbled paper, journal making/bookbinding, and collage/sticker station); performances from Life After Mars, Yung J, Night Rooms, and Artemisia Chamber Ensemble; DJ Peachsprite; interactive surprises; open galleries; special beat making and sample station; gelato from Bibo Freddo and snacks from Hug High School; photo booths and ops; and MORE! Holland Project is an all-ages arts and music initiative by young people, for young people. Holland strives to empower young people through access to music, art, diverse workshop opportunities, and community service and activism. Copyright © 2012 The Holland Project. All rights reserved.